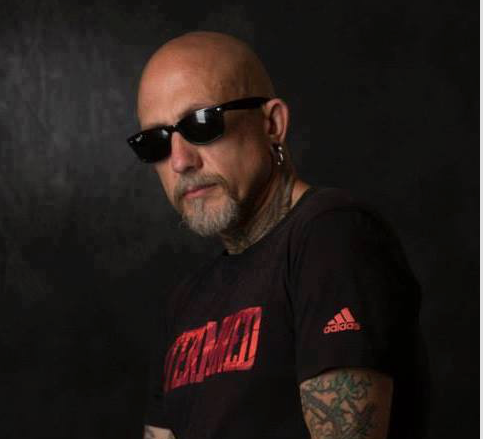 My name is Tom Mitchell, they call me “Tattoo Tom” and I am the director of Stillbrave Childhood Cancer Foundation. Currently I am training to compete in a 205 mile Ultra Marathon up and around Mount Saint Helen’s Volcano and the Cascades Mountains in Washington State called the Bigfoot 200 Endurance Race. This will be my third attempt at what is arguably the most difficult ultra-marathon in North America. While I have completed other 200 mile races this one is my Achilles heel and I have been unsuccessful in finishing it in my first two attempts. I have incorporated a Pilates workout into my training protocol this year upon the recommendation and scholarship of Carla Vercoe and Studio BE Pilates. In the past I have tried a variety of training methods in preparation for these intense ultra-endurance adventures. Including but not limited to crossfit, weight training, hot yoga, boxing and obviously running ad nauseum. I have taken the tutelage of a vast array of personal trainers, private and classroom instructors. I can safely say that adding Pilates to my program has been the best decision I have ever made. It marries and incorporates the best, most productive elements of a great many of the previou s disciplines I have tried. There is stretching, strength building and conditioning. Very precise and scientific isolation to target specific muscles groups, movements and flows in solid productive workouts. While I still, of course, have to run a gazillion miles a week and have chosen to continue with weight training and a modified crossfit protocol several days a week. I have been able to replace everything else with Pilates and feel better than I ever have both physically and mentally as I continue to prepare for the volcano. The Pilates actually enables me to perform better in all my other workouts. I rarely, if ever miss my Pilates as I feel that strongly about its benefits. I cannot begin to say enough good things about Studio BE in particular. I don’t know if I would receive the same great workouts, friendly, knowledgeable staff and comradery at another Pilates studio, but I am unwilling to take that chance. Training for a race of this magnitude and importance, each of the 205 miles is dedicated to a child who is either currently fighting cancer or has lost their battle to cancer, is as much if not more, mental than physical. Carla, Vicky and Shannon do as much for my confidence and mental well-being as they do for me physically. Through their belief in me, my organization and our mission, their commitment to helping me get ready physically and supporting us financially as well. Sometimes it’s as simple as a kind word and expressing a general interest in me and my day. Shannon has a way of making me feel very welcome as soon as I walk in the door and always surprises me with the questions she asks me because it makes me feel as if she really cares and shows a genuine interest in my work and the children whom we serve. You cannot quantify this kind of personal attention via a blog or YELP review, so you’ll just have to trust me when I tell you! I feel quite confident that this year I am more than poised for a STRONG finish at the Bigfoot 200. This August, when I do cross that finish line, Studio BE will be at the top of the list of reasons why!